Since the widespread advent of internet commerce in recent years, not having a postcode is a serious disadvantage and an anomaly that’s addressed with the creation of this website. In my opinion, cyberspace has superseded all other traditional marketing means such as: the print media, television and radio. Therefore, I’ve decided to ameliorate the situation by implementing a functioning postcode for Galway. 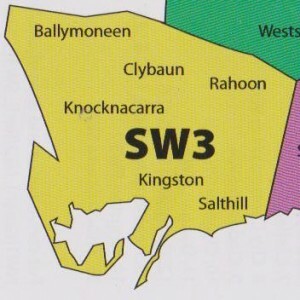 This zip code is basically directional compass points and six zones that divide Galway into districts: North-West1 (NW1), North-East2 (NE2), South-West3 (SW3), South-West4 (SW4), East-Central 5 (EC5) and South-East6 (SE6). It has the advantage of being upgraded very easily without a change to its core structure, e.g. 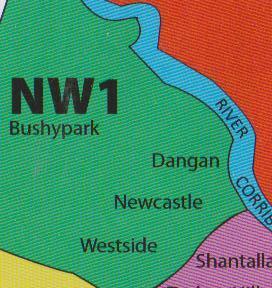 the present NW1 could be extended by the addition of more numerals and letters as the need arises. A future-proof system, so to speak. All the six postal zones have been assigned their own unique colour to aid identification: NW1 (Green), NE2 (Red), SW3 (Yellow), SW4 (Purple) EC5 (Blue) and SE6 (Orange). A similar template of this system could be made for other Irish cities, e.g. Cork, Limerick and Waterford. Presently, Eircode is operating a new national postcode here in Ireland, but national usage hasn’t reached the envisaged numbers. In my opinion, this system has a few inherent disadvantages: (1) Initial Capital Short-Term Cost. (2) It is mainly numerical, as opposed to alphanumeric – more complicated, inflexible and counter intuitive. 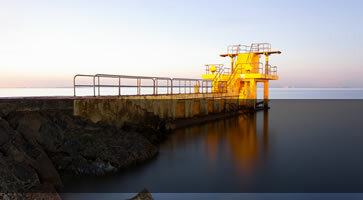 On the other hand, Galway’s new postal code is simple, free, intuitive and available to use now. I feel the success of my new postcode system is largely dependent on a good website that: impinges on people’s consciousness, i.e. they’ll get the message, like the system and use the code. Basically, present the idea for actuation later in life, i.e. 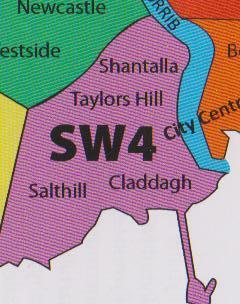 next time they’re sending a letter to Galway, this postcode may be used. That’s the theory anyway! In conclusion, the site’s raison d’etre is to bring into the public domain a knowledge and a basic understanding of a new, simple and zonal postcode for Galway. Thus, making finding addresses and locations a whole lot easier. Did I mention that it’s also totally free? This website is a mix of text and illustrative maps. Drop down menus have been included to facilitate easy navigation and make the site more user friendly. I welcome all feedback that ensures my website is accessed by the largest demographic possible. That’s what it’s all about!